If you want to get out on the open road on two wheels then the first thing you need to do is take your CBT test in Bournemouth. 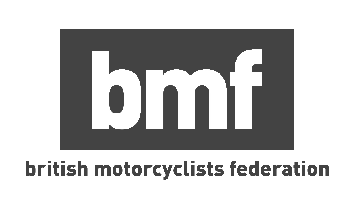 CBT stands for Compulsory Basic Training - there is no test involved - and it is the minimum level of training required for your to legally ride a motorcycle or scooter on the UK’s roads with L-plates. You can take your CBT Training in Bournemouth from the age of 16, and at that age you will be eligible to ride a motorcycle or scooter upto 50cc. If you’re 17 and above, you will be allowed to ride anything upto 125cc. To take your CBT Training you will need a valid UK provisional licence or full driving car licence. If you have a EU licence you will need a D9 counterpart form. When looking to book your CBT Training in Bournemouth you will have the choice of riding an automatic scooter, or fully manual motorcycle. Unlike your car test, you will not be limited to an automatic scooter if this is what you choose for your CBT test in Bournemouth. We suggest using whatever type of machine you’re likely to be using on the road once you complete your CBT test. Not sure whether you want to ride an automatic scooter or manual motorcycle? Check out our list of the top motorcycles and scooters for commuting, and see which one floats your boat! Is there a CBT Training centre in Bournemouth? You’re spoiled for choice when it comes to taking your CBT Training in Bournemouth! We at RideTo currently have six CBT test centres in the Bournemouth area. The first, and most central school is Tizwaz Rider Training (greet name). This school is located right next to the Vitality stadium, which is pretty cool if you’re an AFC Bournemouth fan! This means the school is easy to get to, and Pokedown station is only a short walk. If you dream of one day owning a Honda, then you’ll probably want to head north out of Bournemouth to the Honda School of Motorcycling. This school is MCIAC Approved, which means you’re guaranteed to get the best instruction and customer service available. Dorset Advanced Motorcycle Training is a family-run business located in Kinson that provides top quality rider training, in a fun and friendly environment. If you want a more personal touch away from the hustle and bustle of the centre of Bournemouth, look no further. Situated between Bear Cross and Merley, the A2B School of Motorcycling offer CBT training seven days a week, so you don’t have to worry about booking time off work. The team at A2B pride themselves on their fun and friendly environment and have a wide range of machines available for you to use on the day. Let’s Ride Motorcycle Training are located in Wimborne, just off the A31, near Riverside Park Industrial Estate. The school will provide you with a helmet and gloves to use for your CBT test, and the local roads are quiet and varied, so you’ll be exposed to a variety of different situations to prepare you for life on the road. Located right on the southern edge of the Cranborne Chase Area of Natural Beauty, Phoenix Motorcycle Training in Wimborne take full advantage of their rural location, with quiet roads offering the perfect setting for your first taste of public roads on two wheels. Phoenix are based out of Queen Elizabeth’s School, so they’re open on weekends and during school holidays. What Can I ride after my CBT Course In Bournemouth? After you succeed in your CBT Training you will have gained a valid CBT certificate or ‘bike licence’. This will allow you to ride any moped or motorcycle upto 125cc. You will be able to ride safely on the roads and enjoy the freedom of two wheels in Bournemouth. If you are looking to take your AM licence, A1 licence, A2 licence or full motorcycle A licence then you will need to take a theory test that comprises of a multiple choice and hazard perception tests. Following, you can book your full motorcycle training and full motorcycle tests to gain your motorcycle licence in Bournemouth.